For lovers of thoughtful designs, the mailbox Wallersee is a must-have. 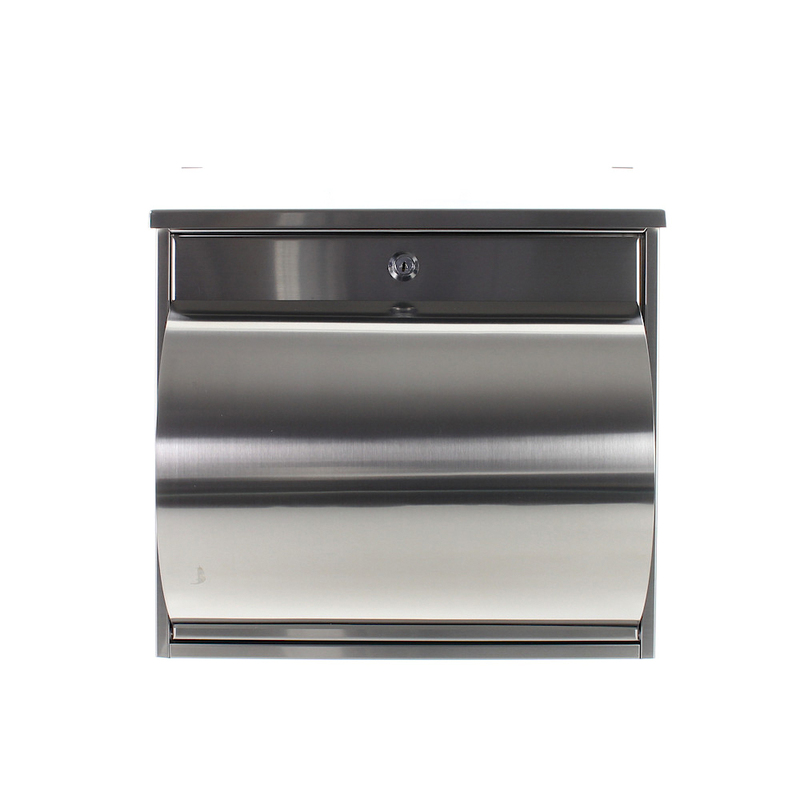 The high-quality brushed stainless steel was processed into a form-finished mailbox with a newspaper holder. For easier handling, the door stop is at the bottom and the large letter slot also allows you to insert mail in the A4 format. This mailbox stands for longevity and immediately fits into your house facade. The Wallersee Mailbox impresses with its elegant design and the high-quality, stainless steel from which it was made. The large letter slot with flap and the newspaper holder attached to the front of the mailbox make a simple design piece. Constructed from high grade rust proof stainless steel.